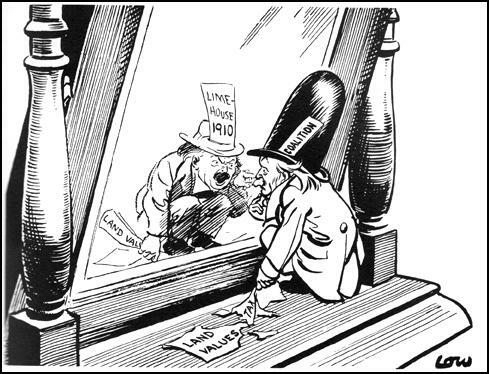 On 17th July, 1922, Northumberland made a speech attacking the way Lloyd George had been selling honours: "The Prime Minister's party, insignificant in numbers and absolutely penniless four years ago, has, in the course of those four years, amassed an enormous party chest, variously estimated at anything from one to two million pounds. The strange thing about it is that this money has been acquired during a period when there has been a more wholesale distribution of honours than ever before, when less care has been taken with regard to the service of the recipients than ever before and when whole groups of newspapers have been deprived of real independence by the sale of honours and constitute a mere echo of Downing Street from where they are controlled." At a meeting on 14th October, 1922, two younger members of the government, Stanley Baldwin and Leo Amery, urged the Conservative Party to remove Lloyd George from power. Andrew Bonar Law disagreed as he believed that he should remain loyal to the Prime Minister. In the next few days Bonar Law was visited by a series of influential Tories - all of whom pleaded with him to break with Lloyd George. This message was reinforced by the result of the Newport by-election where the independent Conservative won with a majority of 2,000, the coalition Conservative came in a bad third. 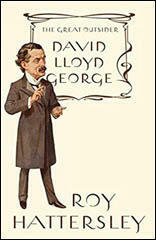 Lloyd George came into public life as a great Radical and who, as his later history showed, retained so much of real radicalism in his heart, should at that moment, of all moments, have chosen to hang on to personal power at the price of giving way to the worst elements in the community - only to be cast out by the Tories like an old shoe, when he had served his purpose, killed the Liberal Party, and deceived the working class so thoroughly that they would never trust him again. The Prime Minister's party, insignificant in numbers and absolutely penniless four years ago, has, in the course of those four years, amassed an enormous party chest, variously estimated at anything from one to two million pounds. The strange thing about it is that this money has been acquired during a period when there has been a more wholesale distribution of honours than ever before, when less care has been taken with regard to the service of the recipients than ever before and when whole groups of newspapers have been deprived of real independence by the sale of honours and constitute a mere echo of Downing Street from where they are controlled. The question is, Are men to be ruled out because of such contributions? If you do not rule men out because they have contributed, you will always be liable to the retort that that has influenced you. My hon. Friends do not suggest that, and no one suggests it. If the system of party political honours is to be terminated, let the House deliberately make up its mind on that subject. But before they do so, I ask them gravely to reflect on what will happen. There will be a gap to be filled up, and we have to consider what will be the effect. As to the question of bargain and sale, I agree with everything that has been said about that. If it ever existed, it was a discreditable system. It ought never to have existed. If it does exist, it ought to be terminated, and if there were any doubt on that point, every step should be taken to deal with it.... 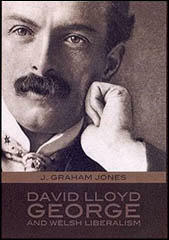 But, seeing that this system - the system of reward for political services - is one which has obtained, not merely in the seventeenth and eighteenth centuries, but in the nineteenth century, under the most distinguished leadership the country has over seen, the country ought to consider very seriously before it brings it to an end. The point is, does Parliament really wish to terminate the system by which service to party is rewarded in this country? If so, I should like them to remember that it is a system which has been evolved by the sagacity and by the experience of the people who have the longest experience and made the greatest success of representative institutions. It has the sanction of the noblest and purest names in British history. It may be illogical, like most of our institutions. I do not say that, because great men of the past have either founded or sanctioned institutions as suitable to their time, these institutions ought to be continued when times have changed. But, at any rate, the fact that they were so sanctioned is prima facie evidence that they ought to be continued until an overwhelming case is made out against them. If that system be abolished, what will be the substitute? The Labour party, naturally, do not feel the same difficulty. They have other means of dealing with the situation. They have their own organisations in the country. But I would only utter one word of warning to them. When the time comes, when they have responsibility for the Government of this country, they will find the system, which may be helpful to them now, entangling their steps and destroying their independence. They will find themselves committed to positions from which it will be very difficult for them to extricate themselves. I do not say another word on that subject. I am only putting forward a consideration which must be in the minds of the most thoughful of them. Turn to the countries which have not adopted our method of encouraging party service - if you like, of rewarding party service. There is nothing dishonourable in rewarding an honourable act of service, but human nature is very mixed in its motives. Some of the worst natures very often surprise you by revealing veins of golden goodness that you would never suspect, and if you strike with a pickaxe into some of the best, they reveal streaks of rather poor metal. Bui whether a man be of the best or of the worst, an encouragement, a stimulus, a reward for him to do his duty always helps him along. If you abolish this system, there are two alternatives, and I want the House solemnly to consider them. I speak now as a fairly old politician, who has been a Member of this House for over thirty-two years, who believes in representative institutions, believes in the House of Commons, believes it is the finest Assembly of its kind in the whole world, and I want the House carefully to consider, before it puts an end to the system, either by deliberate Resolution, or by making it impossible to carry on, what is the alternative to the system. Hon. Members opposite for some time, until they accept greater responsibilities, will be able to manage. The danger is that political organisation will collapse, and the alternative to political organisation is political chaos. I know it is rather a cant in certain circles to gibe at politicians. Anybody who is afflicted with that disease should read what the great men of Germany have said as to the failure of their country. There is not one of them - admirals, generals, princes - who does not attribute it entirely to the fact that Germany had no politicians. Some of the worst blunders that have ever been committed could have been avoided had they had the trained political machine. Her organisation of resources behind the lines would have been better done and better distributed if Germany had had better politicians, as we had on our side. There is one most remarkable, and I always think most inexplicable, fact in the history of the War: That is the sudden collapse of Germany in 1918. Look at the reasons which are assigned for it. It would never have happened had Germany had political organisation, skilled and trained and organised for the purpose of appealing to the national sentiment, and arousing the national spirit. Whether in peace or in war, the nation that is politically organised is twice as safe as the nation which is not. Another alternative is one which anyone can see for himself if he only look at what is happening in other great democratic countries just as free as ourselves, just as proud as ourselves, just as resentful of corruption as ourselves. Let anyone who cares to look into the matter read some of the authorities, classical authorities accepted for their impartiality even by those countries themselves. These are alternatives which I ask the House to consider very carefully before they make up their minds that they are going to strike out the whole of the honours recommendations made as rewards for political services. Well, then, if that be a question of purchase and sale in honours, of traffic in honours, there is no disagreement in any part of the House, and I can assure the House of Commons I am not standing up on behalf of the Government to defend any system of that kind. I am here to say that neither by this Government, nor, I am perfectly certain, by any of its predecessors, has any system of that kind ever been sanctioned in this country. If the House - as I agree it is entitled, having regard to the discussions from time to time - if the House of Commons wants a reassurance, and the public wants a reassurance, then the Government are all for a re-examination of the methods of submitting the names. The responsibilities of the chief Minister must, in our judgment, remain. You cannot transfer that responsibility to anyone else. He is the man who is responsible to the Sovereign, he is the man who is responsible to public opinion, and he is the man who must be responsible to the House of Commons. He is the man who can be arraigned, and who should be arraigned. Therefore no Committee which you set up can relieve the Chief Minister of the Crown of the main, and as far as the House of Commons is concerned, the sole responsibility for the advice given to the Sovereign. The whole question is whether there is any method by which you can strengthen his hands, and help him to discharge a difficult, delicate and individious task. Ministers for some years in the past have been—and Ministers for some years in the future, especially leading Ministers - are 1769 going to be so charged with burdens of all kinds in reference to the complications of public affairs, that any assistance that can be given them in the discharge of duties of this kind will be welcomed by them, and will be helpful to them. My hon. Friend (Mr. Locker-Lampson), in the beginning of his speech, made three or four suggestions that in his mind would perhaps meet the case. But I do not agree. They were all suggestions for taking the duty and the responsibility off the shoulders of the Chief Minister of the Crown, and if they were adopted, his responsibility would disappear. But I am not going to discuss the various suggestions which he made. That is obviously a question that ought to be considered calmly - not in the atmosphere of a Debate, where you have charges and counter-charges, but quietly, by men who are quite independent. As it would deal with the prerogative of the Crown, it must be a Royal Commission, and the Government is prepared to assent to the appointment of a Royal Commission, to consider and advise on the procedure to be adopted in future to assist the Prime Minister in making recommendations to His Majesty of the names of persons deserving of special honour. I agree with my hon. Friend that the men who constitute that Commission must be men whose authority would be accepted by the whole of Parliament and the whole of the public. That is vital. They must be men whose independence, whose integrity, and whose experience, are above reproach. I always had the greatest difficulty in making Lloyd George sinister in a cartoon. Every time I drew him, however critical the comment, I had to be careful or he would spring off the drawing-board a lovable cherubic little chap. I found the only effective way of putting him definitely in the wrong in a cartoon was by misplacing this quality in sardonic incongruity - by surrounding the comedian with tragedy. The Prime Minister was described this morning in The Times, in the words of a distinguished aristocrat, as a live wire. He was described to me and others in more stately language by the Lord Chancellor as a dynamic force. I accept those words. He is a dynamic force and it is from that very fact that our troubles, in our opinion, arise. A dynamic force is a terrible thing. It may crush you but it is not necessarily right.